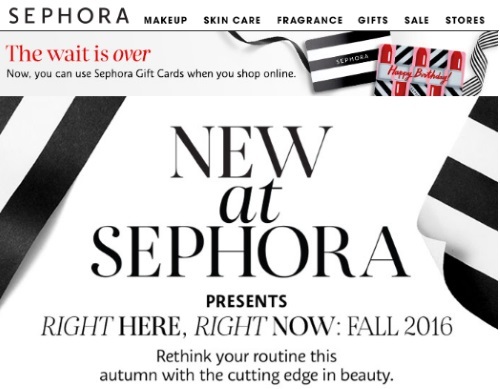 The wait is over, you can now pay using Sephora gift cards online on their Canadian website! It always bugged me how we couldn't and I don't understand the reasoning why, but now if you are an online shopper, you have another mode of payment! I wish they would accept Paypal too, but that's for another time. Sephora has also added a bunch of new Fall 2016 collections and you can get lots of Free deluxe samples with your orders right now! Free with any online merchandise purchase of C$25 or more. Valid while supplies last; quantities are limited. Exclusively for beauty insider members.